Pico della Mirandola research papers look into the life of a well known philosopher of the Italian Renaissance. Research papers on famous philosophers can be difficult to write because philosophy is a very complex topic at the college level. Paper Masters custom writes philosophy research papers to help students understand the ideas of philosophers such as Pico della Mirandola. At the age of 10 was sent to Bologna in order to study canon law. Pico della Mirandola studied at the University of Padua, where he studied Hebrew and Arabic. In 1485, he traveled to the University of Paris, the most important school in Europe at the time. Pico eventually came under the patronage of Lorenzo the Magnificent of the Medici family. He later became involved with wife of one of Lorenzo’s cousins, and when the husband found out he wounded Pico and threw him in jail. Upon his release, he traveled to Rome, finishing his Oration. However, Pope Innocent VIII declared that 13 of the 900 theses were heretical, forcing Pico to write an Apologia. After the death of Lorenzo, Pico moved to Ferrara, where he maintained a friendship with the radical cleric Savonarola. In 1494, Pico della Mirandola was poisoned under mysterious circumstances, probably arsenic. He was buried at St. Mark’s Basilica in Florence. In 2007, his body was exhumed for modern testing to determine the cause of his death. Neoplatonism - Neoplatonism research papers discuss the philosophical school of thought that first arose in the 3rd ... Plotinus. Francesco Guicciardini - Francesco Guicciardini research papers examine the Italian Renaissance historian and statesman. Giovanni Boccaccio - Giovanni Boccaccio term papers look into the Italian Renaissance writer and poet , best known for the Decameron. English Renaissance - Though it began decades after the Italian Renaissance, its implications for the world would be no less dramatic. Order a research paper on the English Renaissance from Paper Masters. Claudio Monteverdi - Claudio Monteverdi research papers discuss the Italian priest and composer. High Renaissance - High Renaissance research papers examine the Italian Renaissance period famous for artists such as Leonardo Da Vinci and Michelangelo. Early Renaissance and Renaissance Painting - Early Renaissance painting research papers look at the era of Greek and Roman paintings along with Italian Artists. Aldus Manutius -Aldus Manutius research papers discuss the Italian printer. 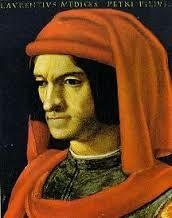 Convivio - Convivio essays examine one of the last major works written by Italian Renaissance poet Dante Alighieri. Giotto di Bondone and the Art Renaissance Period - Giotto di Bondone research papers explore the life of this Italian painter. Michelangelo - There he was discovered by Lorenzo the Magnificent and went to work in the Medici palace. Donatello - In 1430, Cosimo de 'Medici commissioned Donatello to produce a bronze figure of David for the courtyard of his palazzo. Paper Masters writes custom research papers on Pico della Mirandola and look into the life of a well known philosopher of the Italian Renaissance.